Cambridge™ offers the most affordable pulpit robes in the industry without sacrificing quality. 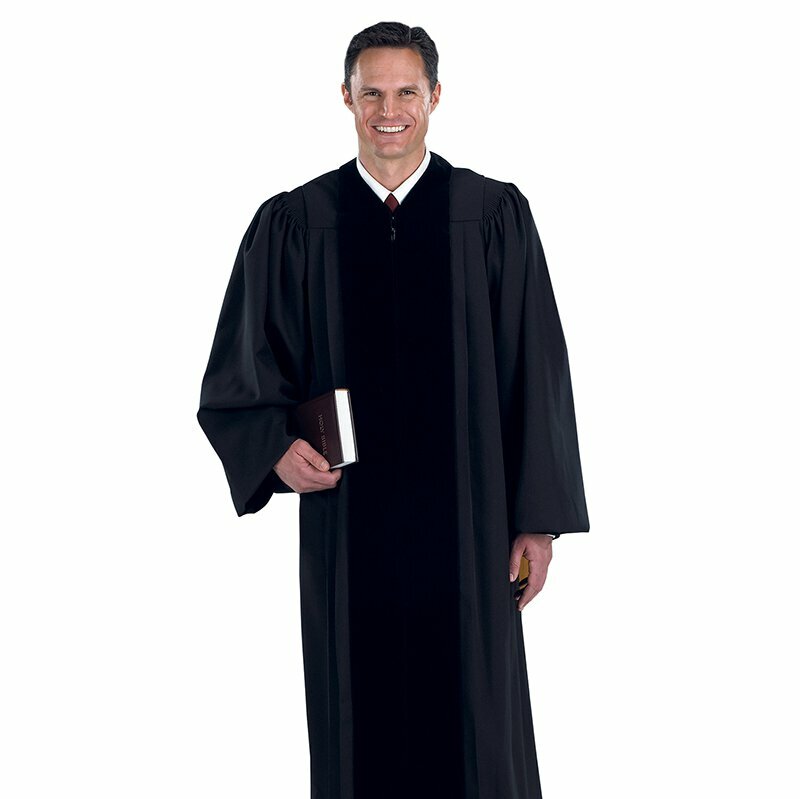 The pulpit robes feature black velvet panels on a black base fabric. Careful attention to the most important details and the addition of features found in much more expensive pulpit robes have made Cambridge™ robes a favorite for many churches and clergy. Specify size when ordering, see size chart for details.